White tea is high in antioxidant and helps to break down fat cells in the body. It also prevents the accumulation of fatty tissue. This tea has a mild taste and is minimally processed. Having this tea on a daily basis can also reduce the risk of heart disease, combat skin aging and boost oral health. Green tea is not only good for weight loss but also helps to keep it off. It contains less caffeine as compared to black tea and can be consumed at any time of the day. Green tea is a widely consumed beverage in the world and is also considered as an anti-aging beverage. Yerba mate tea is made from the leaves and twigs of the Ilex paraguariensis plant. As per a study, people who consume this tea on a regular basis has low blood sugar level and do not gain much weight. Oolong tea has a strong and bold taste. It helps to boost the body's ability to metabolize fats. This tea aids in weight loss, manages type 2 diabetes and prevents cancer and improves heart health. Ginger tea reduces inflammation and helps to control your blood pressure. Having a ginger drink with breakfast will make you feel less hungry for the rest of the day and make you feel fuller for a longer period of time. You can either have peppermint tea for weight loss or can either sniff it. As per a research conducted in the Wheeling Jesuit University, people who inhaled the scent of fresh mint every two hours for five days ate fewer calories and sugar. 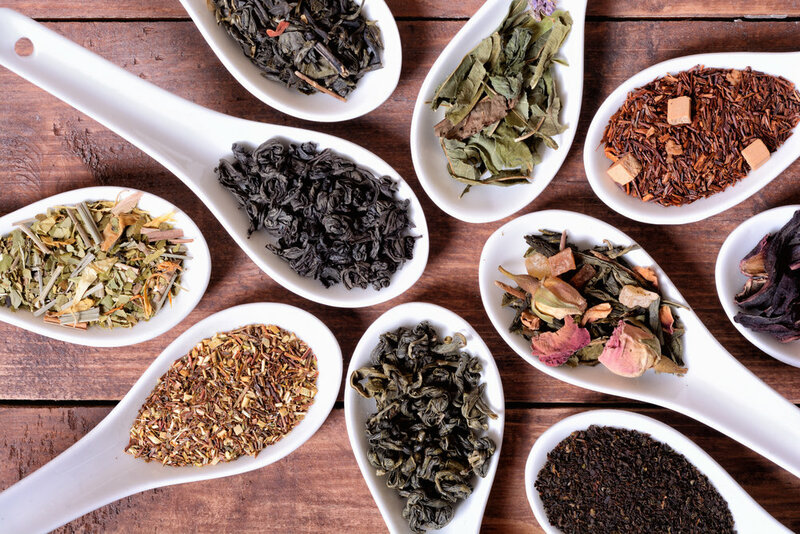 Black tea helps to prevent weight gain when you eat a high-fat diet. It blocks fat absorption during digestion. This tea also boosts heart health, decreases diabetes risk and lower stress level.